8-CD box (LP-size) with 40-page book, 148 tracks. Playing time approx. 614 mns. This stands with our Jimmie Rodgers box and Hank Williams' recordings as one of the most essential collections in country music. 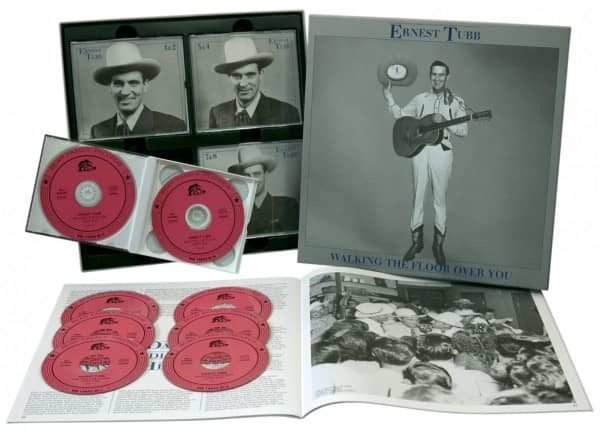 These 8 CDs contain all of Ernest Tubb's recordings from 1936 to 1947. 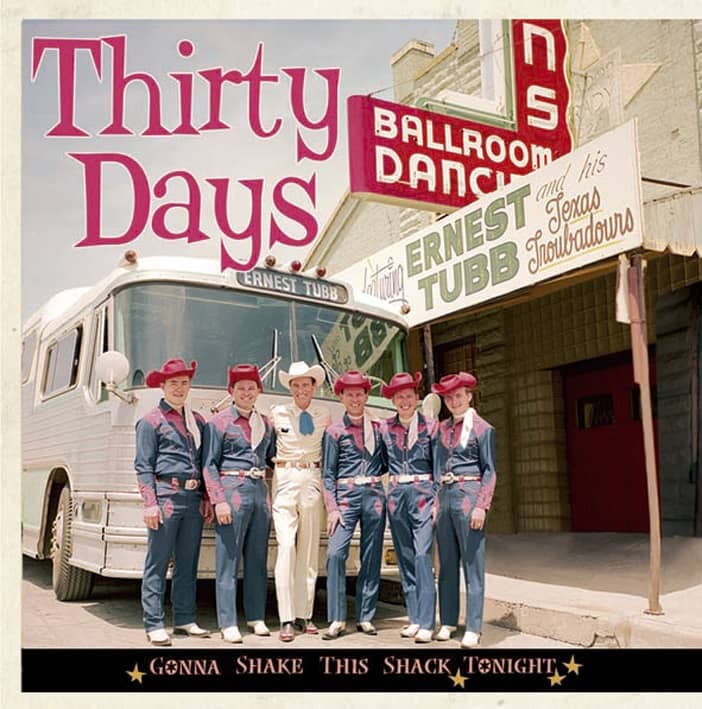 Starting as the prot Jimmie Rodgers' widow, Ernest Tubb went on define one of the most original and imitated styles in all country music. All the great original hits are here in their original versions, Walking The Floor Over You, Blue Eyed Elaine, Tomorrow Never Comes, Soldier's Last Letter, Our Baby's Book, It's Been So Long Darling, Rainbow At Midnight, and many more. The World transcriptions from 1944 and 1945, never reissued to this point, are also included complete. Honky tonk music starts here! Also included is a 40-page book with rare photos and memorabilia from Tubb's widow Elaine and his son Justin, a complete discography and a newly-researched biography by Ronnie Pugh. 22 Darling What More Can I Do? 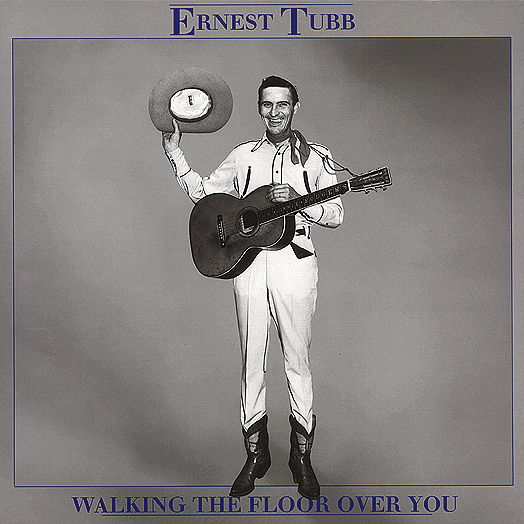 Customer evaluation for "Walking The Floor Over You (8-CD)"